We are proud to announce the beginning of cooperation as ART DIRECTOR with kitchen furniture company LOVE MY KITCHEN. Antonio Lanzillo & Partners wins of prestigious German Design Award 2019 with E-LOUNGE by Repower. SZIDF - Shenzhen International Industrial Design Fair. We will participate with our studio to develop our business in China. 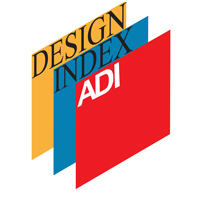 Antonio Lanzillo & Partners with E-LOUNGE they are included in the ADI DESIGN INDEX 2018 collection. Antonio Lanzillo & Partners they are nominee of prestigious German Design Award 2019 with E-LOUNGE by Repower. Antonio Lanzillo & Partners designs and organizes the fuorisalone URBAN CLUB. Antonio Lanzillo & Partners wins of prestigious award of Chicago Athenaeum with Magic by Mobirolo Scale. POP It's on the market ! We created a new collection of chair for RD ITALIA. We created a new corporate image for ELEVAMI a new factory of elevators (Logo, business card, folder, web site, flyer). We are very proud for the 2 prizes awarded at international contest of Elica on desall.com with our hood "SLIDING DOORS" ! Become early a real product ! Stay tuned ! We are proud to announce the beginning of cooperation with FAVARO1 market leader in architectural surfaces. On magazine "Compo arredo" talking about the new product that we designed for Gieffe. There is talk of the characteristics of the new product and the birth of the collaboration between our study and the Gieffe. SHAKE UP YOUR CHRISTMAS !!! 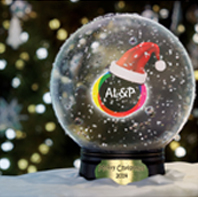 Merry Christmas & Happy New Year from AL&P !!! Designboom, the world's first and most popular digital architecture and design magazine, write an 'interesting article on our Pets Houses one of our latest projects. SICAM International Exhibition Of Components and for the Forniture Industry. We present FUSION by Gieffe ! A new kitchen rail system. Greenboarder at the European Centre’s Museum, Contemporary Space Athens (74 Mitropoleos Street, Athens, Greece). Antonio wins of prestigious award of Chicago Athenaeum with Greenboarder by Kunstdünger / CLS. On magazine "Progetto Cucina" Antonio is interviewed by journalist Letizia Casella. A nice interview between the studio's projects and with so much enthusiasm for the future to be plan. About ten years has passed from first project and Antonio Lanzillo & Partners Studio make a balance on their professional course and on various projects carried out in many industrial sectors. Dealing with product design, communication and art direction, they get in touch with important industrial companies in which they have been able to fully express their creativity. New milestone for our study: our clock Mistery Time becomes part of the catalog Nextime. Nextime world leader in clock. Greenboarder receive the Honorable mentions at the Green Dot Awards. The Green Dot Awards is one of the world’s most prestigious green awards. It was established with the intention to recognize outstanding products and services which are manufactured and delivered in an environmentally friendly manner.